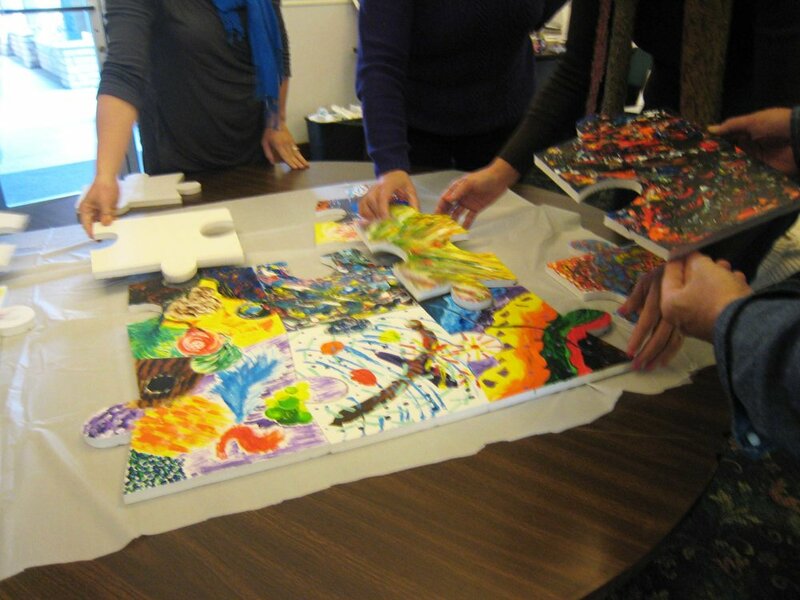 It is a sacred delight to create art that makes space for others to join, reflect, and find meaning. Art can give our spirits voice in a visual language that goes beyond words. Here is a sampling. Created for guests at a memorial service to sign, as a remembrance gift to the family. Participatory art for an interfaith prayer service for families separated at the border. 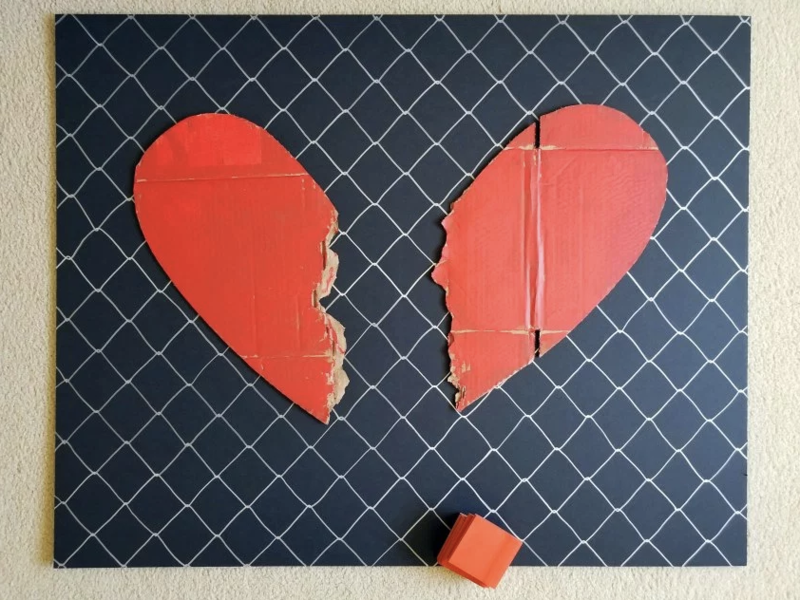 The heart is cut out of a shipping box. It was painted red then torn in half, and mounted onto a chain link fence background. The shipping box symbolized travel, and the container of family torn apart. Images from two different retreats for the same group of therapists. Stations for reflection and also art-making together. People wrote their grief and suffering on ribbons and symbolically released them onto a messy (because life is messy) cross made of 400 chopsticks (Asian American faith-based audience). Over the course of the week, the ribbons became more numerous, blowing in the breezes of the outdoor meeting area. (Left) Each bead represents a person in the family of a friend who had cancer. Full sets were given to each family member; individual beads went to each person committed to continue praying for her husband and children through the many years still ahead. 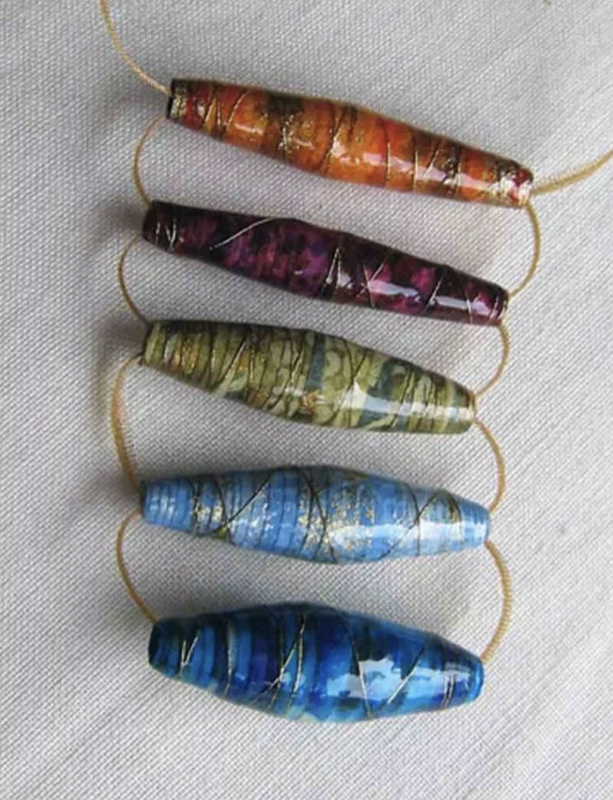 Media: Paper, thread, ribbon. (Right) At her memorial service, everyone was invited to write their favorite memory of her on a post-it and add it to the large mural after the service (she loved office supplies). The skills and generosity of the Westgate quilters brought the design to life.